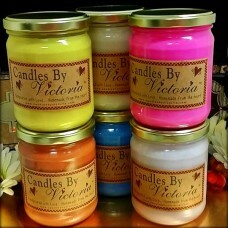 Victoria's Six Pack Samplers are a wonderful way to try out your favorite fragrances. Our 16 oz. candles come in a cute country style jar and include a lid. Treat yourself or give them as gifts! Save 7.50 by ordering our sampler pack!